This was a custom order. 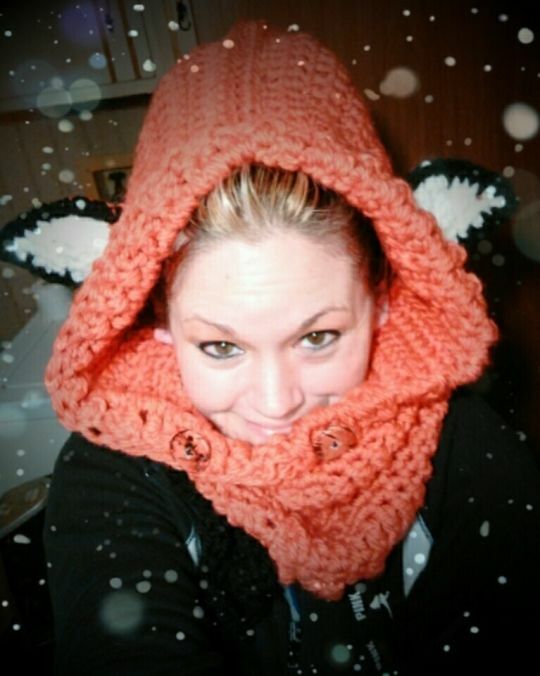 I used the wolf-cowl pattern but in fox colors. I used Bernat Softee Chunky in Pumpkin, Black and Natural. This works from the bottom up. The next time I will start with a foundation sc instead of a chain to give the bottom more stretch. My customer was very pleased with how it turned out!